The long wait for Ganapati Bappa got finally over today. Amidst great fanfare, with Shraddhavaans dancing to the drum beats Ganapati Bappa was brought to Happy Home to our beloved Sadguru, Bapu’s residence. The huge procession started on the dot of 6.15 p.m. near Amarsons on Linking Road, Bandra and reached Happy Home at around 7.45 pm. 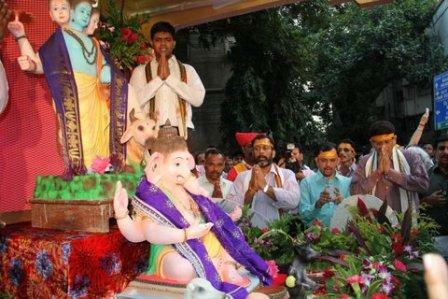 Before that, the idol of Datta Bappa and Ganapati Bappa arrived around 6.00 pm. 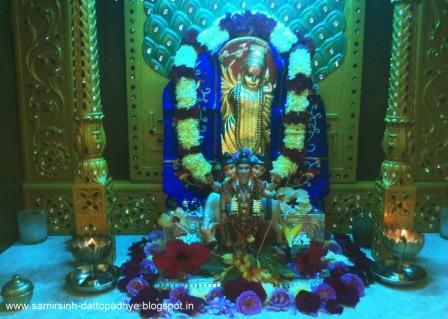 Thereafter, we all chanted ‘Ramo Rajamani Sada Vijayate..’, ‘Padmaseenam Shyamavarnam….’, ‘Avadhoota Chintan Shree Gurudeva Datta’, ‘Om Namashchandikaayay’ and ‘Nanda Ramanaa Aniruddha, Aniruddha, Aniruddha. Within a few moments, the entire atmosphere in that area had undergone a complete change. 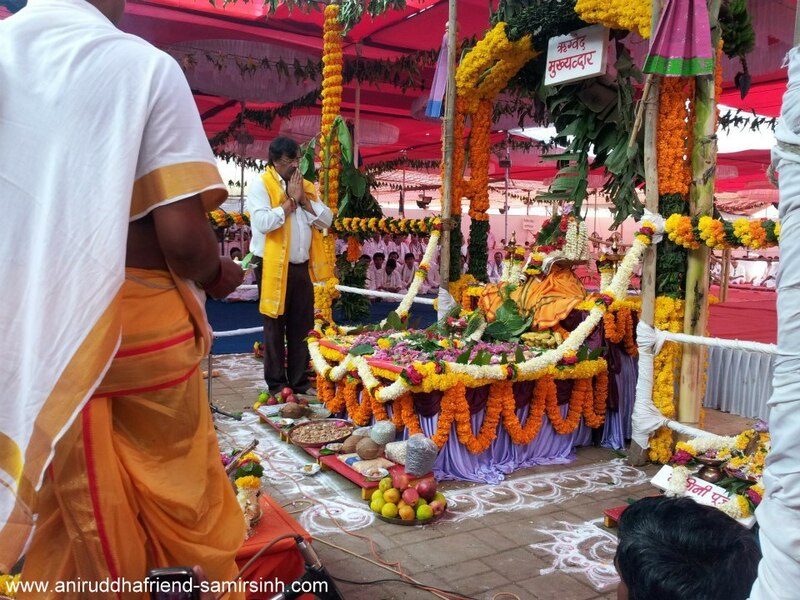 The intense devotional fervour of Shraddhavaans dancing to the rhythm of the drumbeats and taashaas, teams of lezim dancing tirelessly with the name of their Sadguru on their lips, all had the necessary impact. There was hardly a passerby who did not stop to watch our procession with a sense of awe. As usual, the entire procession went so smoothly, without disturbing the vehicular traffic, that the police authorities did not have any anxious moments whatsoever. When we turned the corner to proceed to the entrance of Happy Home, we could see Bapu, Aai and Dada standing on the podium waiting to welcome Ganapati Bappa and their other Shraddhavaan friends, who had participated in the procession. As I am writing this post from Shri Harigurugram, the sweet chants of ‘Om Gam Ganapatayay Namah’ are softly ringing in my ears. 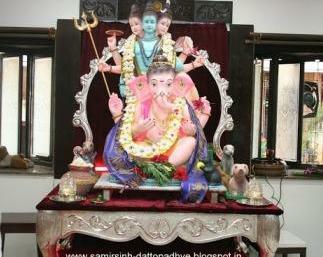 Yesterday and the day before ‘The Maaghi Ganapati Janmotsav’ was celebrated. 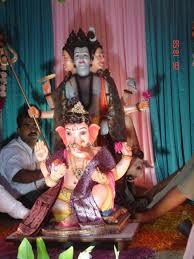 The Maaghi Ganapati Janmotsav is being celebrated since the year 2009. 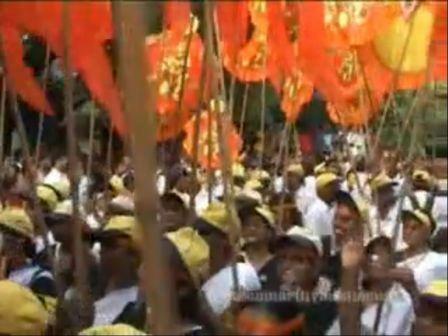 The celebrations are held on 2 days. The first day, entry to the function is by invitation only. Thereafter, on the next following Thursday, It is celebrated at Shri Harigurugram where all Shraddhavans can attend. Usually during the intervening period, the idols of Ashtavinayak are kept at the Link Apartments, where poojan is performed every day. 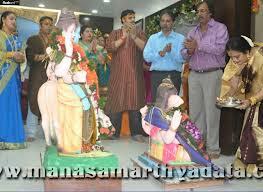 Aarti of Mothiaai – Mahishasurmardini by Bapu Hari Om Dear Friends, The Maha Aarti just got over now. I have no words to describe the atmosphere that built up during the aarti. Watching Bapu dance while his mother’s glories were being sung was a joy to behold. I have rush down to make sure everyone gets darshan and prasad. Will send a detailed note on the Maha Aarti sometime later.